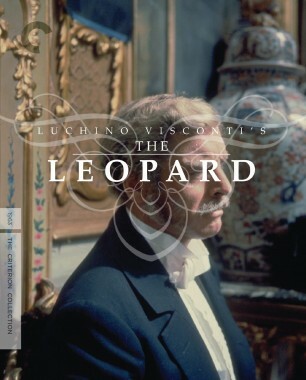 “Forty-eight years ago I stood on the set of The Leopard and watched Luchino Visconti bring to life his seminal motion picture about the dying world of the aristocracy, revolution against the old order, and the rise and new-gained riches of the merchant and middle class,” writes Ralph M. Toporoff for Films in Review. The article is tagged as a review (of the Criterion Blu-ray release), but it goes far beyond those bounds to be a reminiscence on Toporoff’s brush with artistic greatness when, as a young photojournalist, he visited the villa outside Rome that provided one of the film’s locations. Toporoff evokes the atmosphere of the shoot, describing the wax candles that would melt under the heat of the set lights during that “exceptionally hot summer,” and his surprise at the fact that each actor delivered dialogue in his or her own language—Burt Lancaster in English, Claudia Cardinale in Italian, and Alain Delon in French—all later dubbed. Perhaps most delightful of all is the selection of personal photographs from the shoot that Toporoff has supplied for the article, including Visconti behind the camera and Cardinale relaxing—beautifully, of course—at lunch.